Our list of hand-picked art resources covering everything from useful art organisations to art directories which are of relevance to Australian visual artists. Arts and Artists Directory. The 800ArtDirectory.com provides you with various categories of websites linking to art gallery, fine art services, visual arts, oil painting, celebrity artists, art consultants, museum, design art, art history, literature, artists. ABC Online Arts is one of Australia's main reporting website on Australian and International arts news, blogs, reviews, newsletters, new works, covering TV, Radio and forum websites. About.com is an art and craft site all evolves around business within the art field and contains many links and interesting articles. The Australian Commercial Gallery Association is our countries leading national body representing the many commercial galleries in Australia. A voice for not only galleries but also artists and play an important role in the visual art world through promotion and support. The Australian Arts Business Foundation is creating sponsorships, partnerships and donations for artists and art organisations and is a great point to start if you are looking for this kind of monetary input. Arts Connect Inc. (ACI) supports and promotes the practice and enjoyment of the arts across the Sunshine Coast Hinterland, in Queensland’s south-east. Artbank is the largest buyer of contemporary Australian art in this country. They promote and make their collection available for rent and then reinvest its revenues back in to the collection. 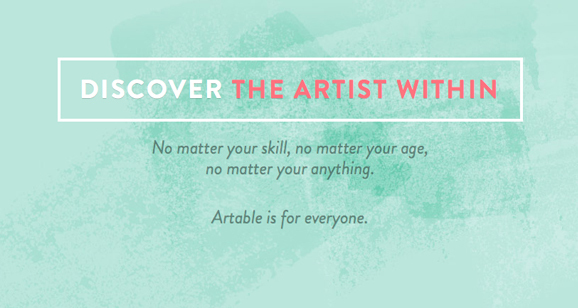 Artbank supports in particular emerging artists. They have over 10,000 artworks for rental. Artcyclopedia is a comprehensive site to search for fine art and provides access to historical artists, artworks and movements. Listing over 9000 artists, 2600 art sites, 140,000 link. The Arts Hub is a truly brilliant online source of news for Australian artists and provide a well working jobs classified service. This popular site is visited over 100,000 times each month and more than 800 art related companies publicise their latest jobs offers. The Australia Council for the Arts is The major Government arts funding and advisory body. More than $158 million in funding are offered to arts organisations and individual artists in Australia. The site is also highly informative on all aspects of the arts. The Arts Law Centre, another highly important organisation in this country. Everything from legal advice to useful resources are offered. This includes professionally written and affordable contracts by lawyers who know the industry very well and are up-dated regular with demand and changes of law. This long-standing resource, Absolutearts.com is committed to connect people from around the world to the arts. Their Artist Portfolio service is one of the largest and most successful program of it's kind, representing 150,000 works by over 24,000 artists from around the world​. The Artists Alliance is based in New Zealand and was established 1991. They are membership based representing and offering help to visual artists of Aotearoa / New Zealand. Arts Connect is a fee based online arts portal profiling Australian artists of all media, filmmakers, painters, poets, actors, animators, fashion designers, graffiti artists, glass artists etc. Once joined there is no extra fee for commissions or referrals made through this site​. The Australian Copyright Council is the one stop shop for any issues on any copyright issues, from knitting patterns, artworks, education and everything else. They support an artistic Australia by providing information, advocacy and legal advice on copyright​. Artdeadline.com is a membership based site for income & exhibition opportunities from all around the world​. Artsource is advancing the profile of visual artists in Western Australia and delivers quality, core services on behalf of individual artist members and the visual arts sector, in partnership with stakeholders. The Australian Craft Directory is a listing of art & craft blogs, directories and more. Created by craft minded people who wanted to make it easier for craft suppliers and teachers to reach a targeted audience​. At Blue Banksia you will find listings of businesses & organisations that provide support, resources, education and inspiration for the visual artist. The Copyright Clearance Centre is the most complete and convenient access to copyright permission for millions of publications. Creative Business is an arts resource offering a huge amount of free or to buy downloadable business forms. Dagmar Art Consultant represents a range of Australian artists across painting, printmaking, sculpture and ceramics. Fine Art Imaging specializes in museum quality Giclee art printing, serving throughout Australia. The studio replicates original artwork so accurately, the print will be virtually indistinguishable from the original and that to affordable price.